Whenever I meet new people and tell them that I am a jazz musician there is always a lot of interest. For many people, jazz music was not introduced through school music or history classes, or through popular music. Movies and media portray jazz as a mysterious music that has a small following in clubs and bars, and it is often associated with the 1920s Jazz Age. Pictures of swing dancing and big bands come to mind - and that is completely valid, but jazz is so much more than that picture. What made me love jazz while starting out was the feeling I have while 'discovering' it when I was 14. Without constant input or 'homework' assigned to me, I looked up the history and the important musicians. I figured out the most famous albums and who was on each of them. I learned of the sub-genres and historical influences. And, I quickly started teaching my others about it because the sound captured my heart. It is exciting and liberating to take learning into your own hands. In this way, I wanted to give some tips for how anyone can learn about jazz and discover the history on their own terms. Each week in June I will be writing about ways to discover jazz for yourself through examples and tips. I think the best way to start learning about jazz is by figuring out some of the most influential figures. With a simple google search of "jazz musicians," for example, pictures of Louis Armstrong, Miles Davis, Charlie Parker, John Coltrane, and Thelonious Monk come up. Start by building off of a couple of names. You do not need to know any more than a couple names to start listening to jazz and you do not need to be overwhelmed by how much music there is out there. Listen to the musicians on your short list. You can do this on YouTube, iTunes, etc. You can even go to your local library and check out their jazz collection. Sample a couple songs or an entire album. For example, by just searching "John Coltrane" on YouTube, the first result was his My Favorite Things album. Pick your favorites from the list - it is perfectly fine to only like one or two of the five musicians listed - jazz is diverse and different albums may appeal to you. For example, from the list your favorite musician could be Miles Davis. Now that you have a musician you connect with, start figuring out their most influential albums. By a simple search of "Miles Davis," you'll find a list of his albums and box sets divided into time periods. Now that you have a list of his albums, just start listening! Maybe you'll pick to listen to Kind of Blue or Birth of the Cool or Miles Ahead. Whatever looks interesting. Keep in mind that each album is unique, and styles changed throughout history. 3. What did you like the most? What album did you like most by Miles Davis? Let's say after listening to a few your favorite album is 'Round About Midnight. Make a mental list of why you liked that album. Did you like the individual musicians? The album features Miles Davis (tpt); John Coltrane (ts); Red Garland (p); Paul Chambers (b); Philly Joe Jones (d). Did you like one of the songs in particular? Maybe the track, "Round Midnight" stood out. The composer of that song is Thelonious Monk. Did you like the sound of the jazz trumpet? 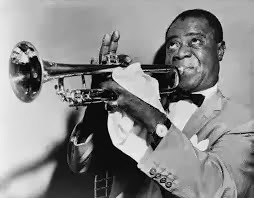 Look up other jazz trumpet players: Louis Armstrong, Dizzy Gillespie, Clifford Brown. 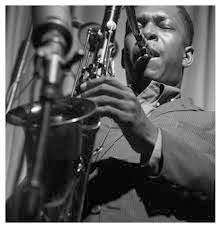 From 'Round About Midnight you can branch out and find albums by John Coltrane. Or you can find different versions of the song "Round Midnight" - maybe you'll discover trumpeter Dizzy Gillespie's version or vocalist Ella Fitzgerald's version. Or you can discover other compositions by Thelonious Monk such as "I Mean You." The possibilities are endless, and there's no way to go wrong. Forming connections based on what you personally like is invaluable. Keep on listening to your favorite jazz musicians. There is nothing wrong with being attached to one or two favorites and listening to them on repeat. Sometimes I go through weeks of only wanting to listen to Thelonious Monk! 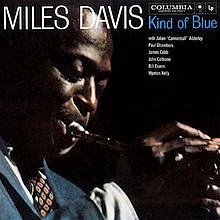 By learning Miles Davis' discography, for example, you will come in contact with much of jazz's other key figures: John Coltrane, Thelonious Monk, Charlie Parker, Herbie Hancock, Wayne Shorter, Chick Corea. Just noticing these names will help you become aware of jazz history. Learning about jazz doesn't require a textbook, a lot of money, or intense studying. You can start as simple as exploring one jazz musician and then finding connections based on what you personally love! It's not a race and it's not a contest. At the end of the day jazz is about what speaks to you.